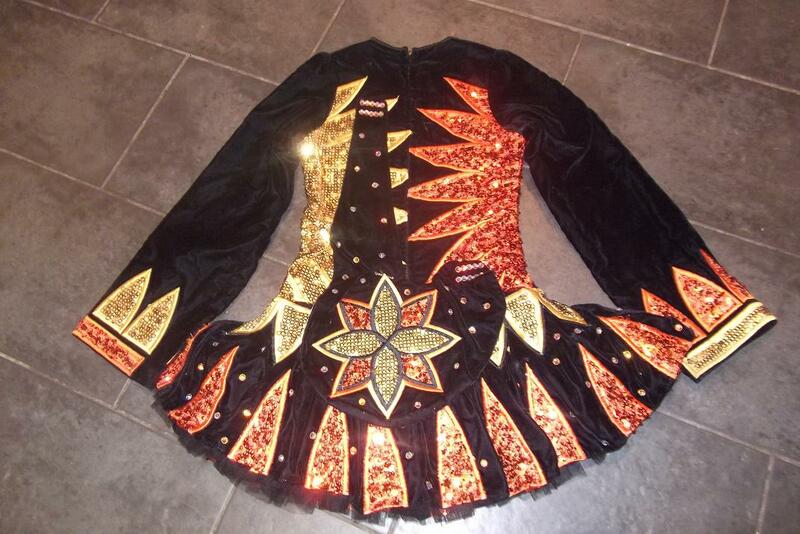 An absolute stunning Gavin Doherty dress.Made for one of his own championship dancers.The dress has only been worn 6 times.Like new and in excellent condition. 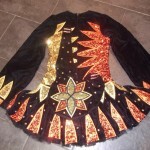 Selling due to growth spurt.Its made from lightweight black velvet material with bronze and gold sequined material. 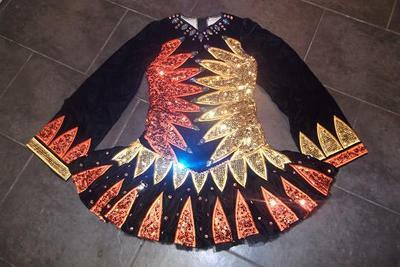 The skirt is underlined with black satin and black netting frill.A very light wee dress to dance in.100s of swarovski crystals added to this dress for that extra sparkle. Great stage presence. Black bloomers come with dress.